It’s always nice to end your week with a piece of art! Every Friday I’ll be posting art from around web featuring Trek characters and actors. These will be archived in Categories under “Fan Art” Enjoy! 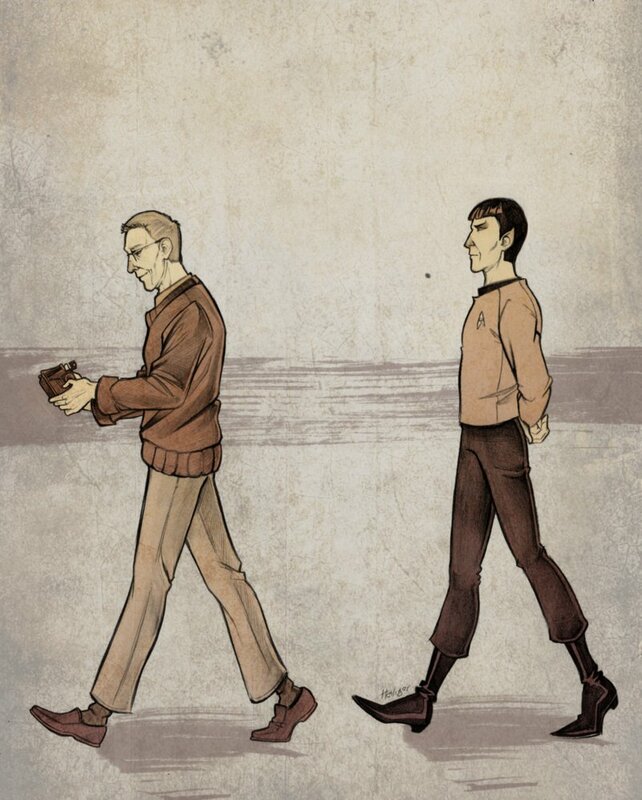 To start this series, a wonderful piece by artist Sara Manca from Deviantart “Leonard and Spock”. She really captured that ever-present shadow in Nimoy’s life. I like how she also captured the stride and personalities of each. Today I’ll be sharing the rest of the contents of The Box, including one very special souvenir. As I scratched through the pieces within, I came across several writings I had forgotten about — breathless explanations of events Trek related -the convention of ’76, of course, which I’ll transcribe here later, as my original writing was pretty horrific in both style and execution. 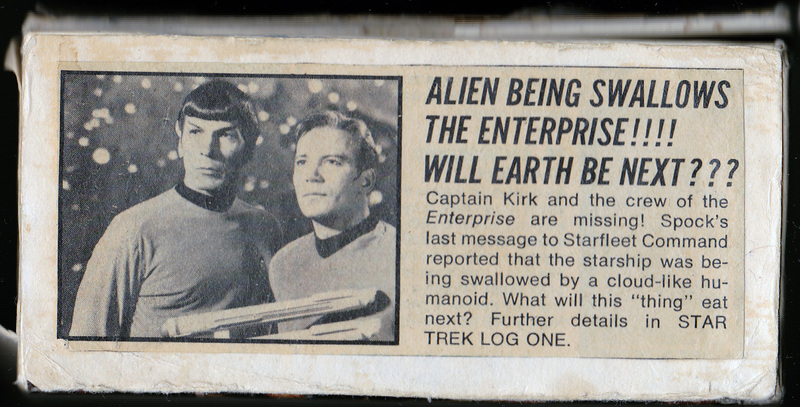 There are bus ticket stubs and jotted lists my mother made of what we spent there at the NYC con., and some letters from people I met at various Trek events, and letters from an aunt or two when then found an article related to Trek in their newspapers. It’s fun to see how cheap so many things were then, although they were a big expense to us at the time. I recall it cost us $35 a night to stay a the Statler-Hilton. There were 3 of us, my Mom, sister and me, and it was my first trip ever to NYC. I just wish we took more pictures, as my only equipment at the time was my state-of-the-art pocket old flashcube Instamatic which took the incredibly poor pictures you’ll see here. ( I apologize for the quality; this was the best I could do) I remember that we were on the 33rd floor, and that we had a grand view of the Chrysler Building from our room; oddly at the time I found it somewhat ugly and creepy, but within a couple of years I appreciated it for the glory of deco art it is, and it remains my favorite skyscraper to this day. Here’s the few pictures of the con that did develop from my crappy camera. 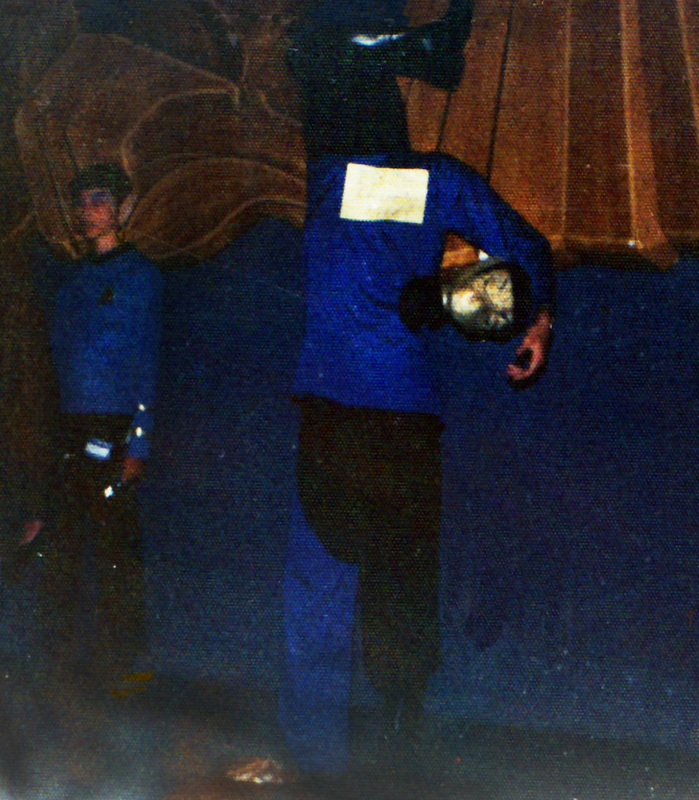 First, a Mr. Spock look-alike contest, the winner of which was a guy dressed up as a transporter malfunction! The sign pinned to the guy here says “Is the Transporter fixed yet?” as he also carries his ‘head’. Clever stuff! Then the celebrities! Almost the entire cast was there, from Shatner to Koenig, only Nimoy and Majel Barrett couldn’t make it. We saw all the stars that came, but my camera was so crappy that only a few pictures developed. Here’s James Doohan and George Takei. Doohan was newly a father and talked at length about the Lamaze method that he and his wife used to deliver the baby; interesting, but probably not what the fans wanted to hear. 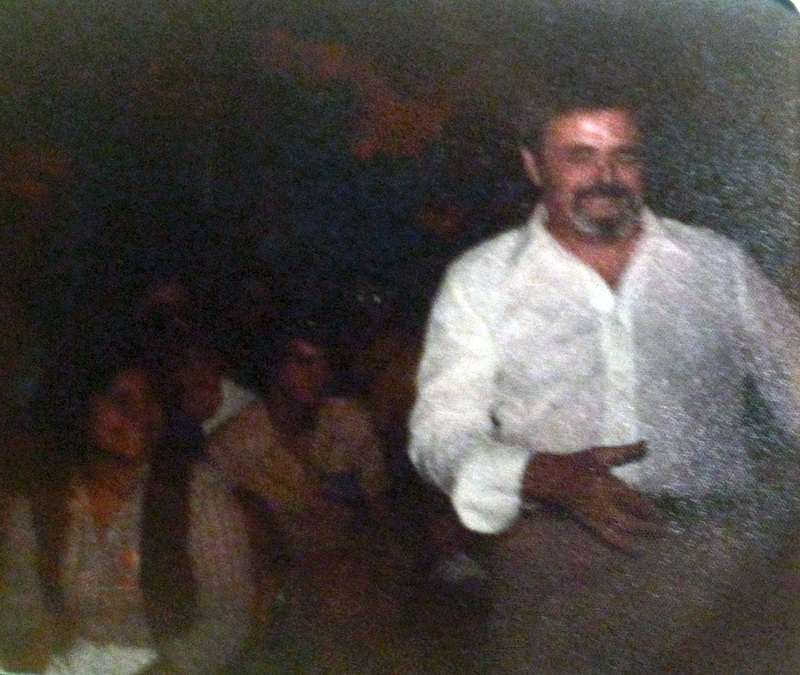 He also sang and jigged a little to “Roamin’ in the Gloamin”, a song my mother (embarrassingly) insisted that I ask him to sing! But he was a a good sport about it, and I remember him walking up and down the aisles of the auditorium to ‘touch hands’ with the enamored thrall. 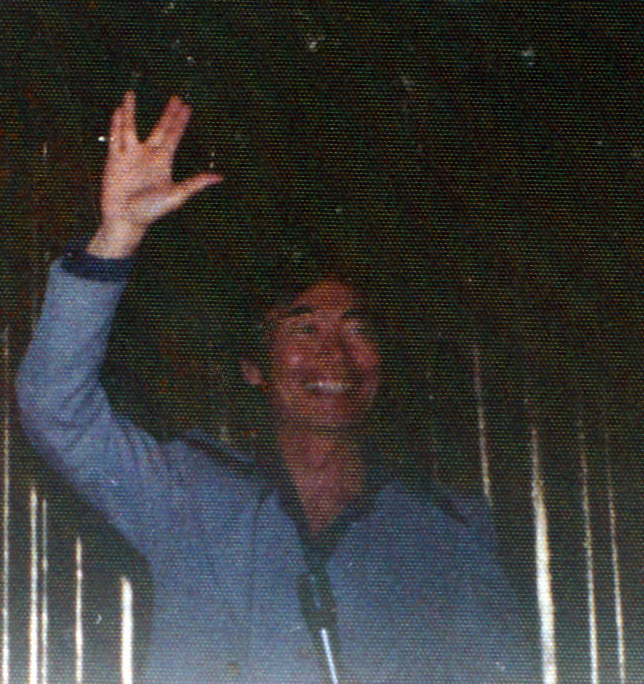 Takei was happy and bright, in a powder blue leisure suit, although at the moment I can’t recall anything he said. I think he was asked about an audition he made for a silly sitcom called “Mr. T. and Tina”, glad he didn’t get that one, for it’s hardly the stuff of TV legend. Leisure suits were the uniform of the day- that hideous melt-able double knit polyester garb that almost every male wore. I recall Shatner wore a dark blue one, De Kelly wore a black with a wild orange and white floral print shirt under it, and Doohan wisely opted out of a jacket, just wearing beige trousers and a white shirt instead. But every male celeb had huge lapels and wide bell bottoms. (God the 70’s were atrocious) The convention had a lot of fun events, from art shows (I was heart broken I couldn’t enter my home made bust of Mr. Spock), the endless dealer room with oodles of Trek merchandise, to the wildly popular episode and blooper showings, and, of course, autograph sessions, which were FREE — something you never get anymore. 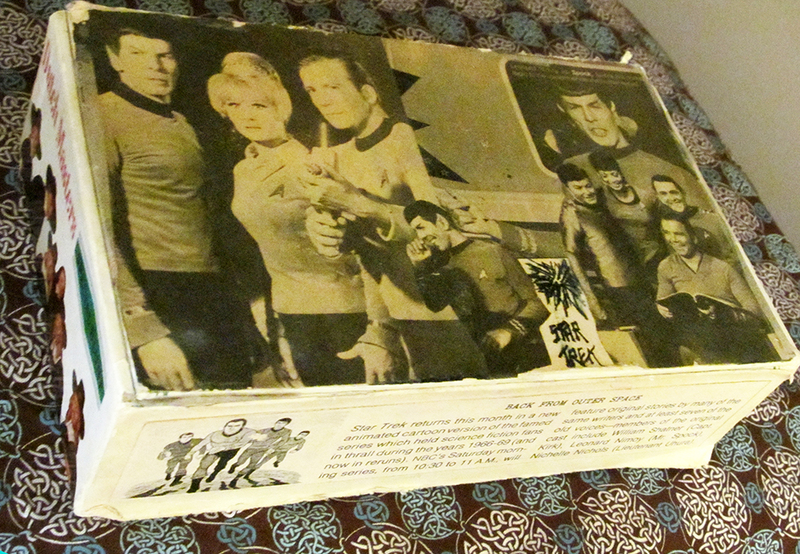 But speaking of autographs, the box contains the ultimate prize of my youthful fandom, and I only had to wait a couple of years after the con to get it; Nimoy’s autograph. 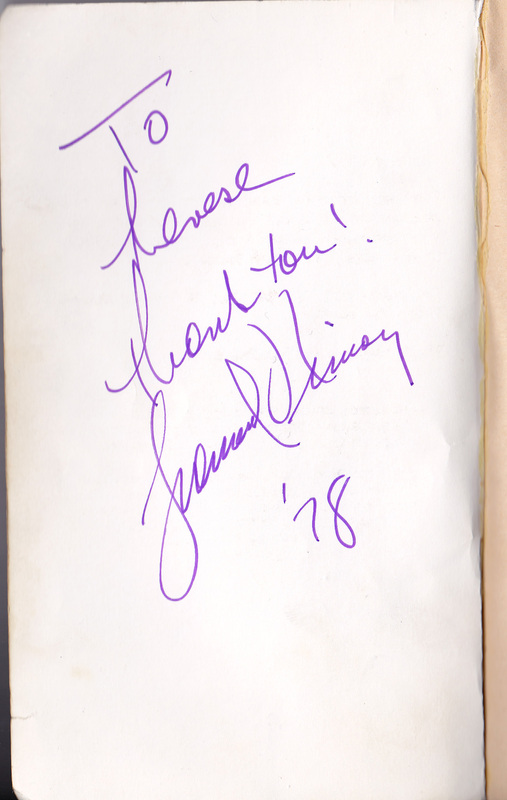 I got to meet Mr. Nimoy on February 18, 1978 after a splendid lecture he gave in nearby Elmira NY. 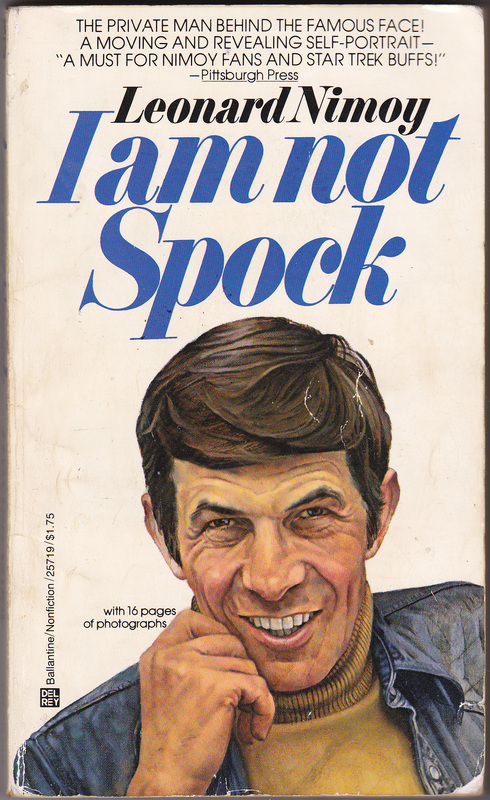 But since we FORGOT THE CAMERA that fateful night, I hung on to the pen he signed my copy of I Am Not Spock with; a purple Flair fine point! (made in the USA!) Good ol’ Flair, and no one has used it since Mr. Nimoy. “To Therese, thank you! Leonard Nimoy, ’78. And why was Mr. Nimoy so grateful to a giddy 16 year old girl that night? Well, get your mind out of the gutter and I’ll explain this, along with a couple of photos, in a future post! I haven’t made any StarTreKomics in a while, so here’s a mega one! Be sure to zoom in to read it better, more coming soon, Enjoy! First, the interior. 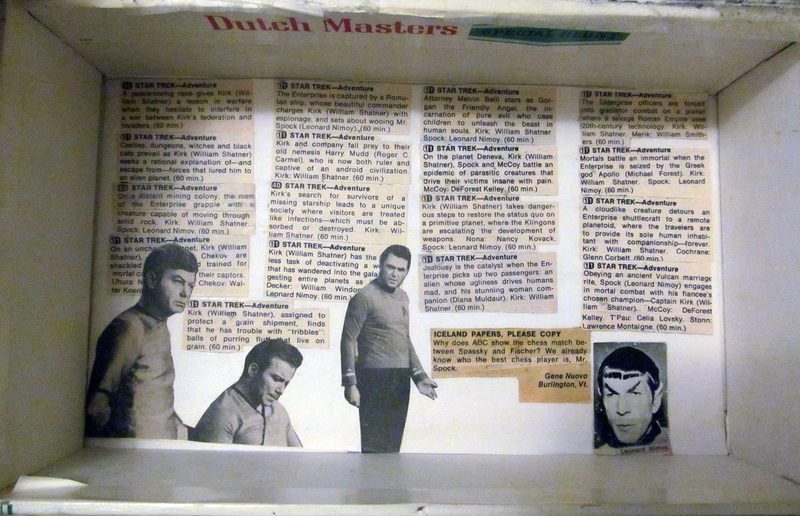 I didn’t want the floor of the box to be bare, so every week I went through the TV Guide and cut out the daily descriptions for Star Trek, which aired weeknights on WPIX (we had “eleven clear channels to choose from“* with this new thing called ‘cable’!) at 9:00 and Mom and Dad let me stay up with my sibs to watch it. We got cable mostly so we could watch Star Trek. Of course, we had all watched it when it originally aired (although I didn’t always get to see it) and by age 12, in ’73, I was totally into it. By ’76 it was on our local channel 40 every night at 6:00, and Mom wasn’t too thrilled that it was on at dinnertime, but she would let me watch it on Fridays. Anyway, here’s what old Trek listings looked like back then; something that’s never used now. You can also see more images from the article I used for the box lid and if you read closely, there’s a little letter to the editors of TV Guide about who the best chess player is. 😉 -Can you name all the episodes described here? Now, as to what I kept in the box? It was good for spare change and rubber bands, but eventually I had little things related to Star Trek that I kept in it. 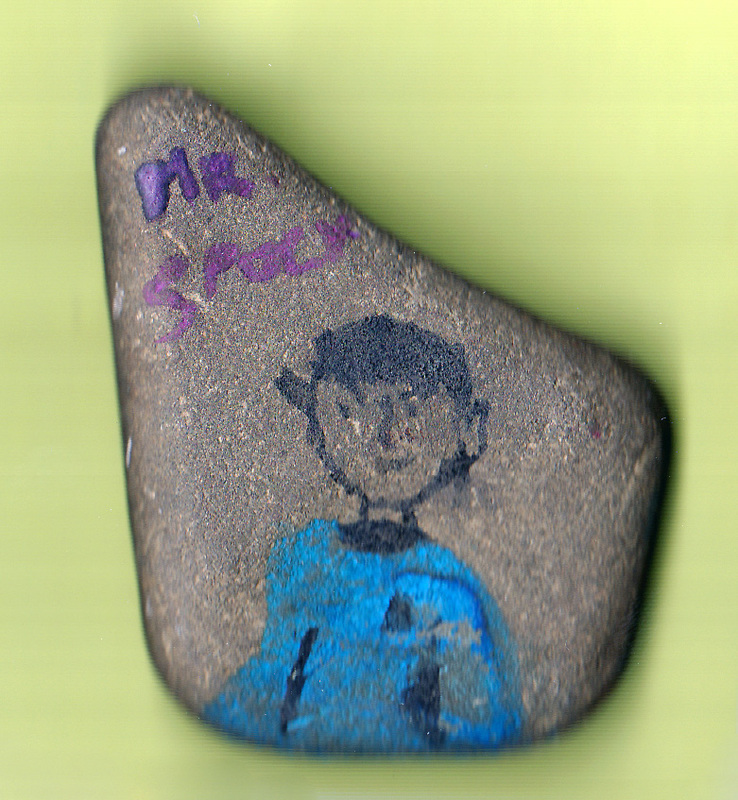 First of all, a ‘Spock Rock’; that is, a stone I found one day along the river that reminded me of Vulcan pointed ears, so naturally, I painted a cartoony little portrait of Mr. Spock on it. Cute, huh? I’m surprised it hasn’t worn off much in the 39 years since I painted it! I like that I gave him a little smile. Next we see a prized Spock button I bought at the 1979 ‘Star Trek Bi-Centennial 10 Convention in 1976. It was special because it presents a scene from the Trek episode “Elaan of Troyus” that was never used. Spock is seen playing his Vulcan harp in the grand recreation room, a set that was only seen in “And the Children Shall Lead”. A shame this scene was cut, but you can see a pastiche of it here. 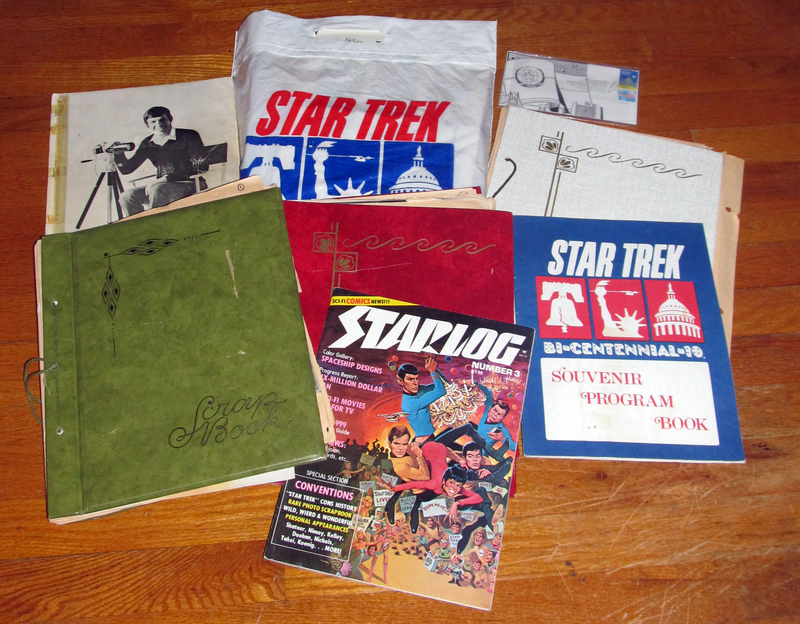 My Star Trek Scrapbooks are Here! Well, I finally did it! 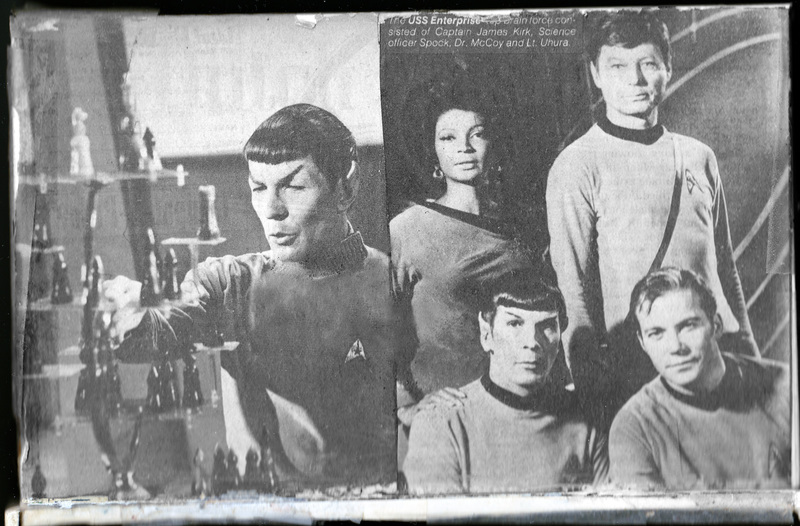 Made good use of my scanner this summer and scanned in many pages of my old Star Trek Scrapbooks from the 1970s as well as some scans of an old cigar box I plastered with Star Trek articles and Viola! My Trek blog will finally live up to its name! Funny how much stuff I forgot about, I found myself giggling through so much of it! Ah silly youth! Not only did I collect every article I could find on Trek and its stars, I also drew some silly comics,wrote fan fiction, and even a play! I was one besotted puppy. Come with me now on a time-travel back to the pre-Star Wars 70’s, when Trek ruled the sci-fi world in syndication, becoming even more popular after it was canceled than it had even been in its initial run. 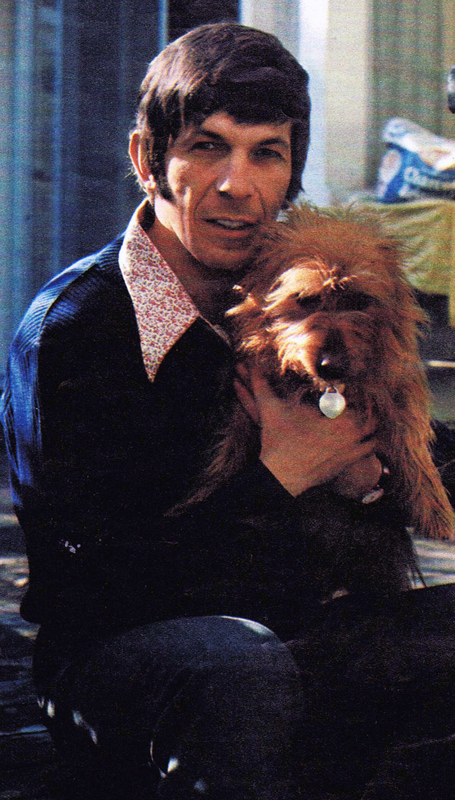 A time when Nimoy wore super wide bell-bottoms and Shatner wore discount rugs! I will be posting these here on the home page and they will be archived in the ‘My Star Trek Scrapbooks’ category in the sidebar here. Lets start with my little Trek Pandora’s box, shall we? Back in 1973 or 74, my Aunt Eileen, who was always clever with recycling and such, sent up to me one of my old Uncle Eddie’s cigar boxes, decoupaged with red,white, and blue wrapping paper emblazoned with ‘Happy Birthday!’ all over it. It was great for little keepsakes like buttons and safety pins and pretty marbles, and this inspired my sister and I to make our own cigar box treasure chests. 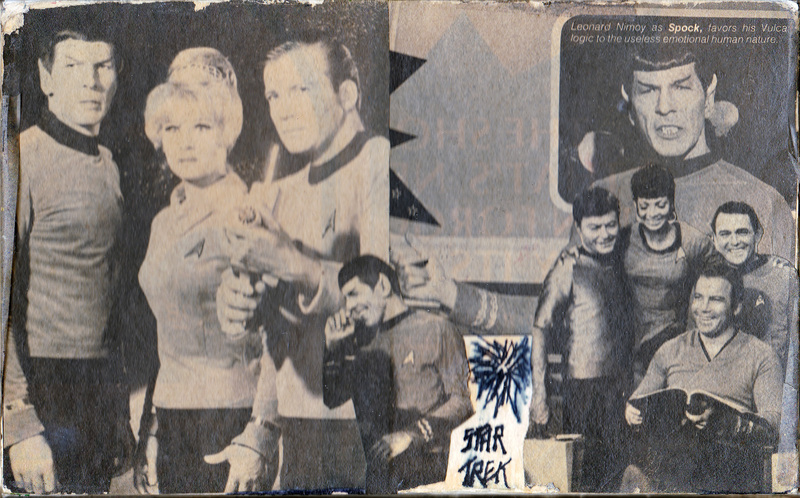 My sister covered hers entirely with pictures of Elvis albums from an Columbia House flyer, while I decided to deck mine out with a few of the latest Star Trek articles I found in movie magazines and a TV Guide. (Yes, at this point, 3-4 years after its cancellation, Trek was being made into new fodder for these mags, and I lapped them up with my allowance money). I didn’t think to seal my box with clear glue like my sister had, so now it’s a bit worn, yellowing, with edges curling, but you get the gist. First, the box itself. I can see that my propensity for collage came early. As I recall, this article came from a TV Radio magazine. And the interior! 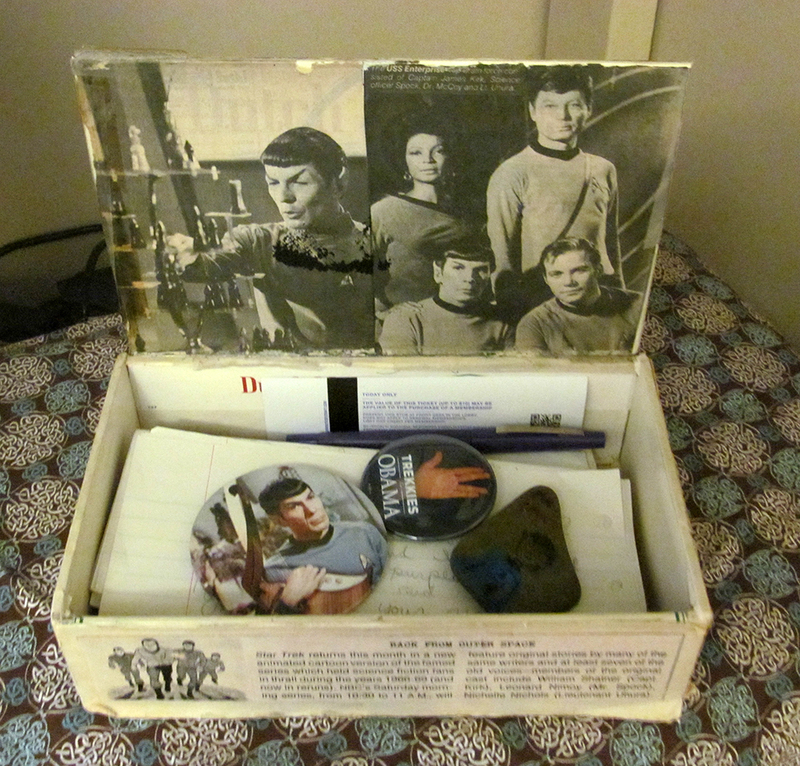 More of the article (I can’t remember what caused that black blotch across Spock’s front) and some little treasures; A Spock button from the 1976 NYC ‘Star Trek Bi-Centennial 10 Convention, a stone shaped like Spock’s ear that I painted his portrait on. (and much later, a ‘Trekkies for Obama” button–this seemed like a good place to store it) You’ll see more of what’s in the box tomorrow! 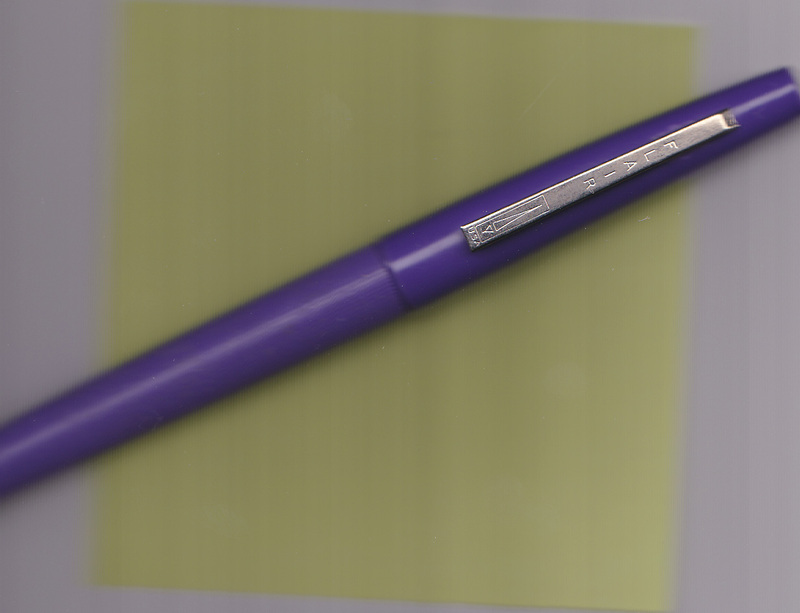 Here’s the top lid, Photoshopped and de-yellowed. Here’s a close-up of the interior lid,with the black blotch cleaned up and brightened. 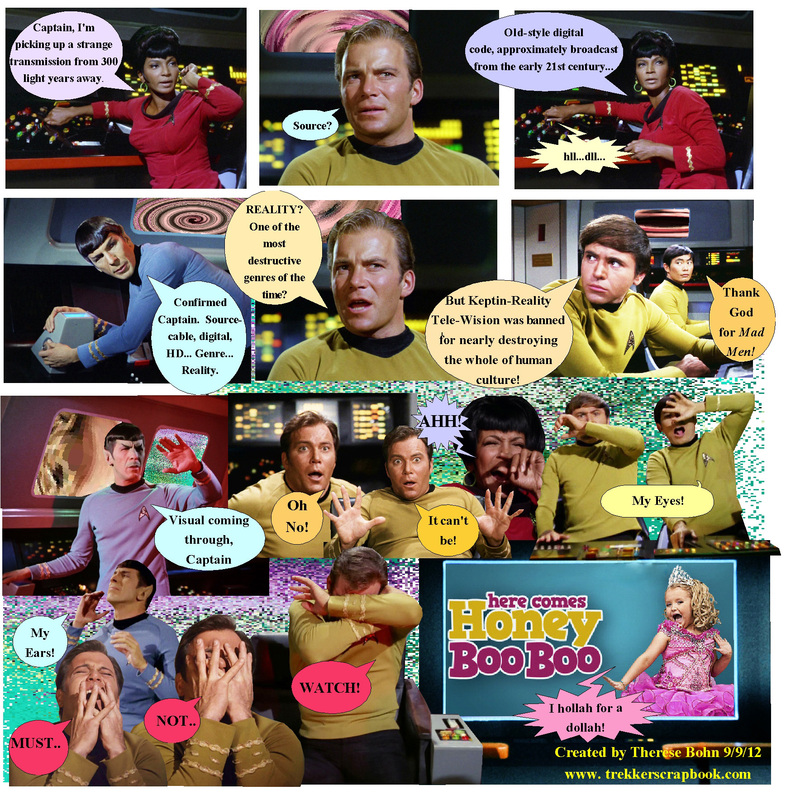 The Front Panel: An ad from the weekly PARADE magazine promoting the new Star Trek Cartoon on NBC in 1973. My 12 year old brain couldn’t wait! This is one side with an ad from one the those Scholastic book club flyers we used to get every month in grade school (I’m guessing this was 6th grade) The Star Trek LOG books novelized the animated series. Well kids, that’s all for today! I think I’ve whetted you appetite for what’s coming next! Be sure to come back every day to see what’s next in my little time machine- Tomorrow: What’s in the Box -Part One. Hey Kids! 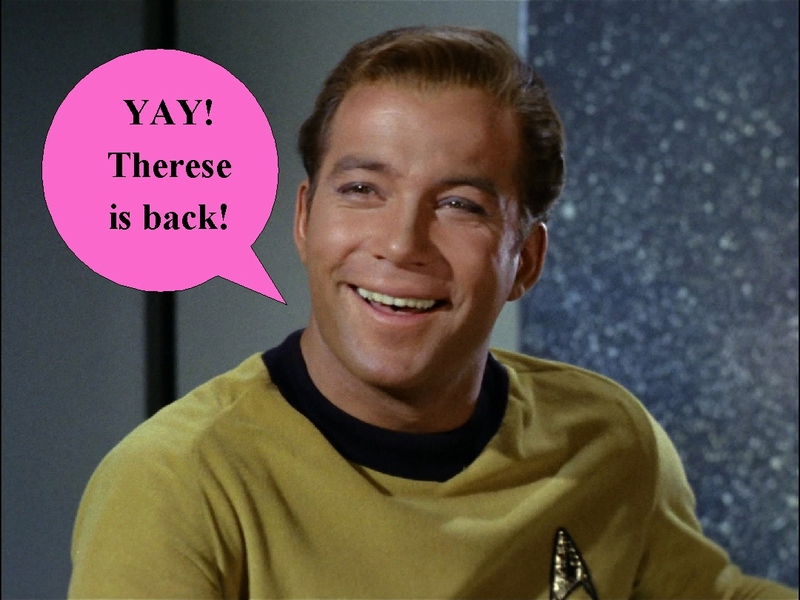 I’m back after taking a little break for the summer and looking forward to sharing new Trek and other silly stuff with you! I am rested, refreshed, and happy to report that I have lost 4 pounds to date! (My Wii pedometer really helped!) Slow but steady loses the weight. 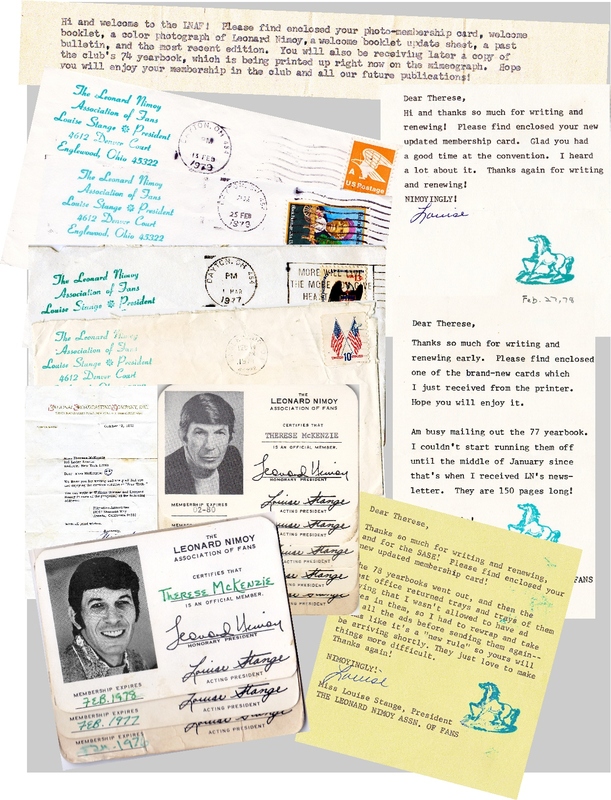 You’ll be getting your weekly dose of Nimoy/Spock on Mondays, selections from my original ’70s Trek Scrapbooks Monday through Friday, and more Trek and non-Trek stuff sprinkled throughout. Hope to hear from you in the comments, and it’s nice to be back!